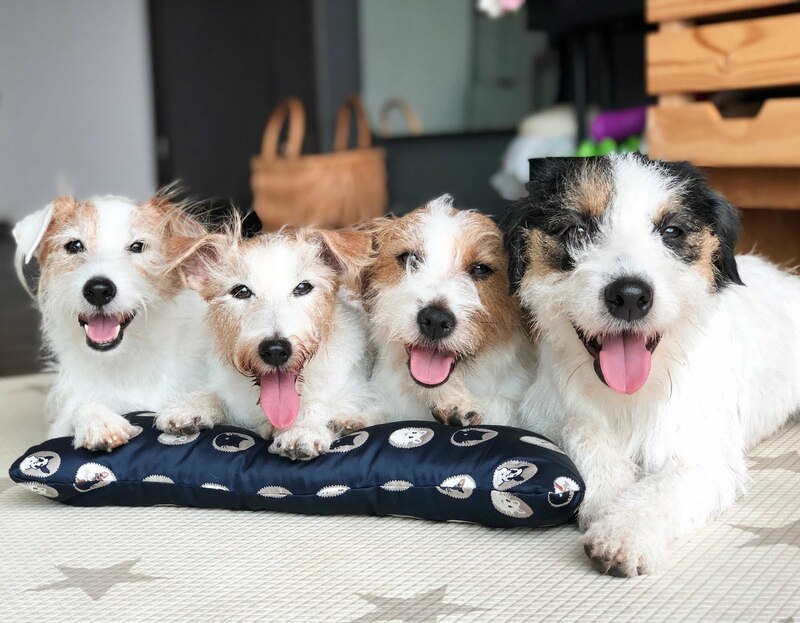 We are the Mr.PAW Singapore Ambassadors! 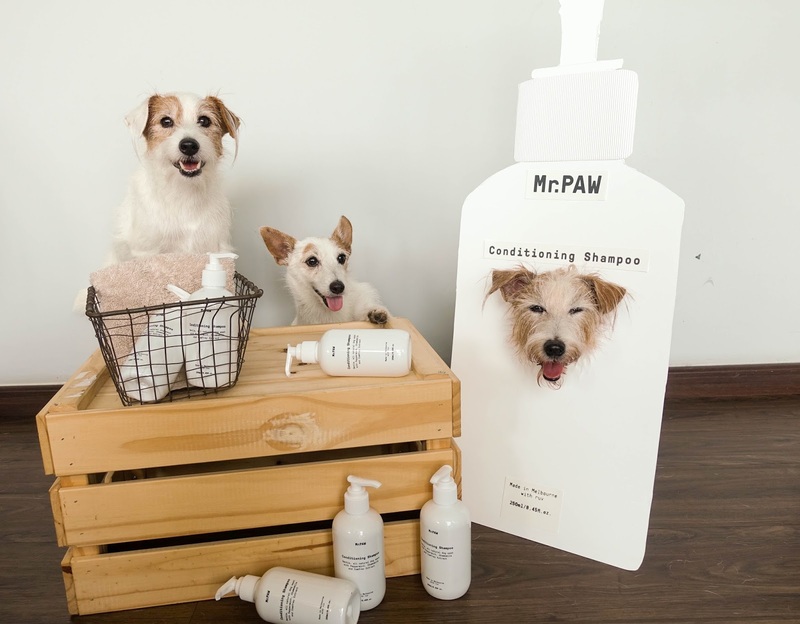 We're very pleased to share that we are officially the Singapore ambassador for Mr.PAW! 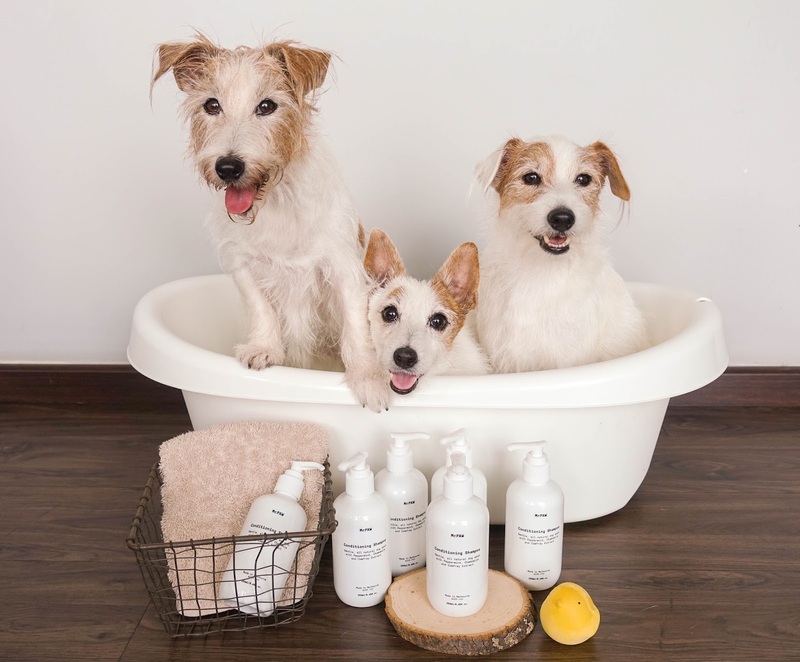 We would like to thank Woofer & Purrlensky for believing in us and giving us this amazing opportunity and of course, plenty of free shampoo! Hehehe, it's really not easy taking the perfect shot to announce this exciting news. Just look at our bloopers. Mummy was really excited about this and started to crack her brains to think of the best way to portray us as ambassadors. But hor, I think Mummy kinda misunderstood what ambassador meant. 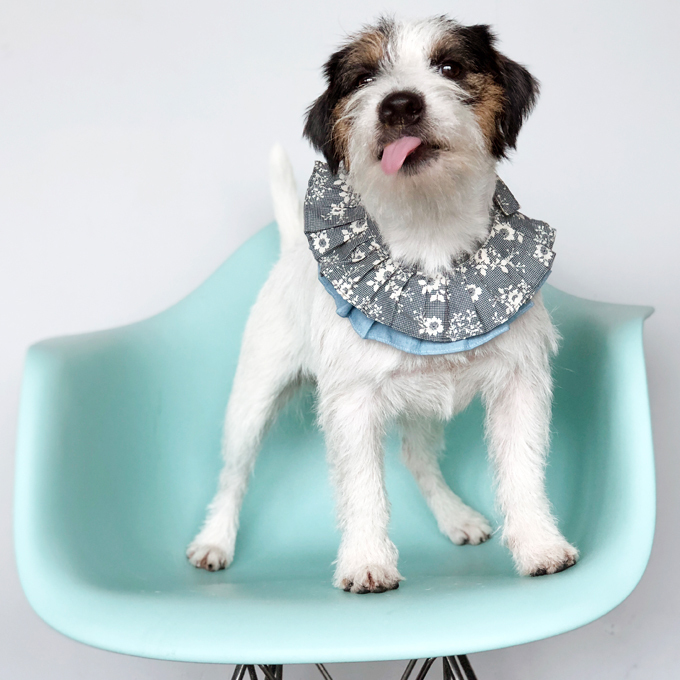 Anyway, since she spent quite a while making this, we had to give her some 'face' by posing for her. 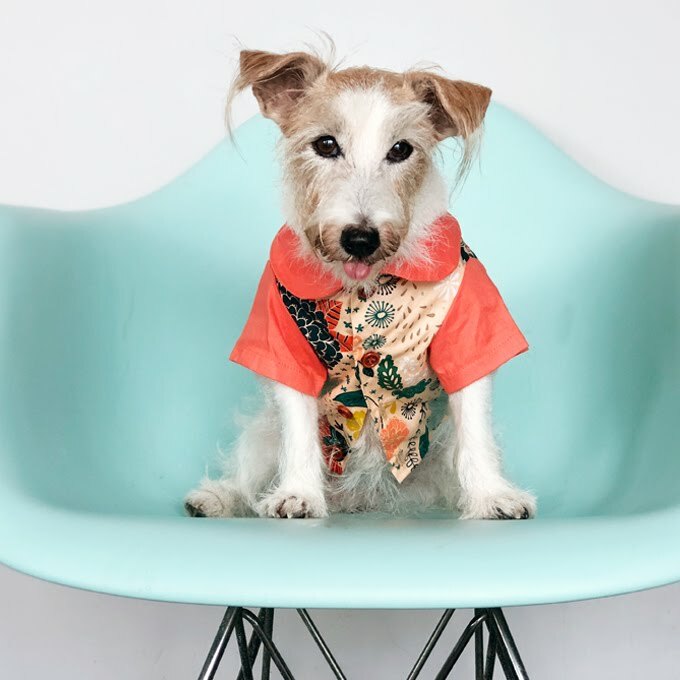 Plus, we wanted to see who makes the best 'mascot'. 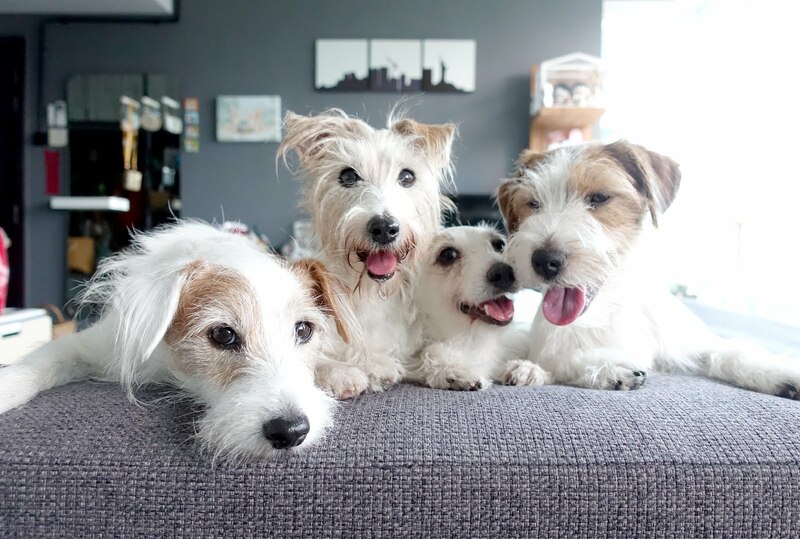 Our most photogenic old lady! Sorry, but Pips is a little too short for the standee. Oh well, we will just take it as she is a rolled over bottle, like the rest. Anyway, since the old lady looked so adorable and happy, she was of course given the task of being the mascot. 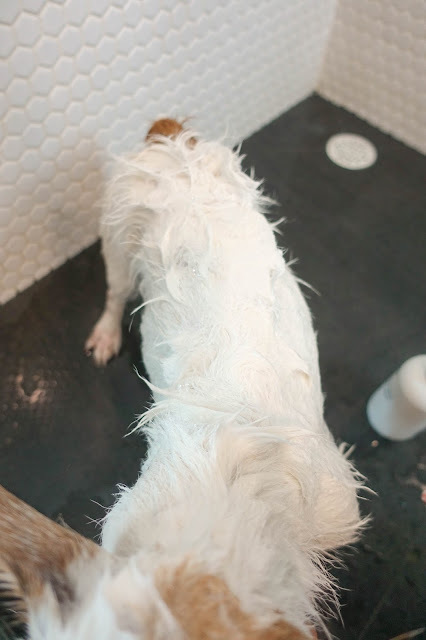 What is a shampoo review without photos of BATHTIME. Pecan ah ma was anticipating a bath and clearly wasn't impressed. Well, we had reviewed several shampoos previously and seeing our 'naked' body isn't anything new anymore.. 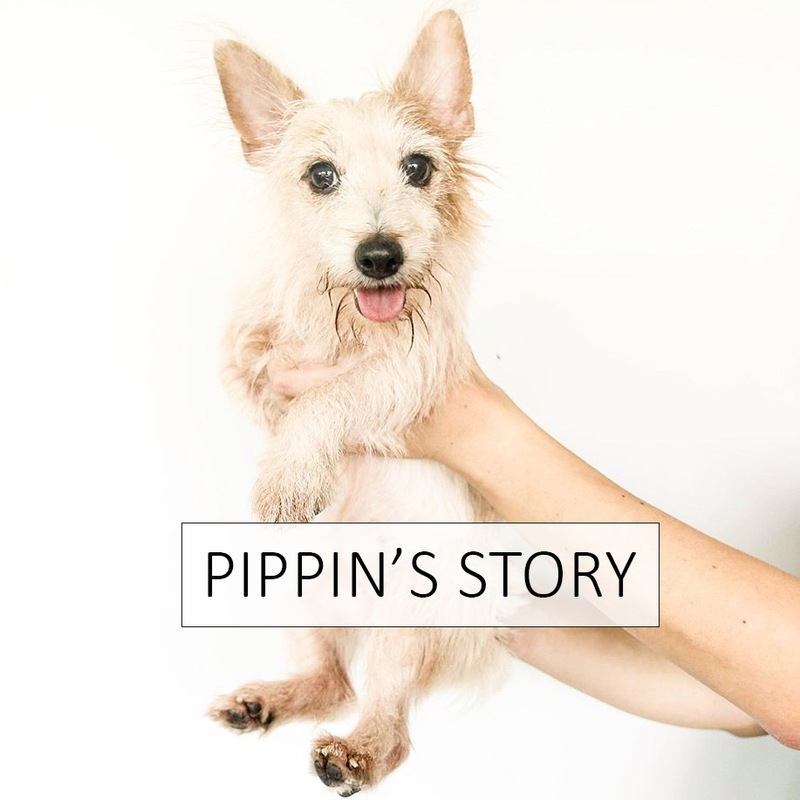 Nominate Pippin to be the model for this post. 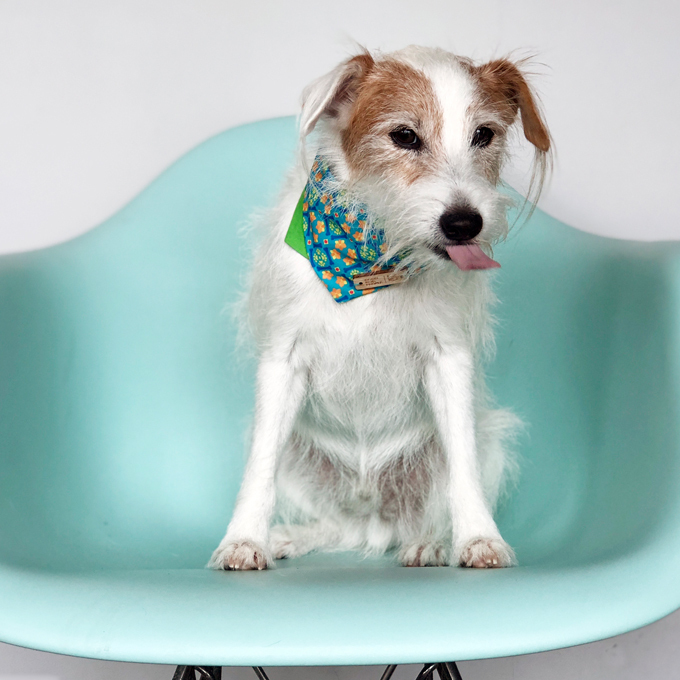 And, please pardon her sulky face in the following pics. There are many things we adore about Mr.PAW's All Natural Conditioning Shampoo. 1. The ingredients are all natural - Our lazy Mummy isn't a fan of reading labels as it's hard to get pass three ingredients without a 'what is this' reaction. So, her solution - avoid products with ingredients that she has never hear before - especially the chemical names. Hence, when she got her hands on the list of Mr.PAW ingredients, she was very pleased. No jargons, just straightforward ingredients that anyone can understand. 2. 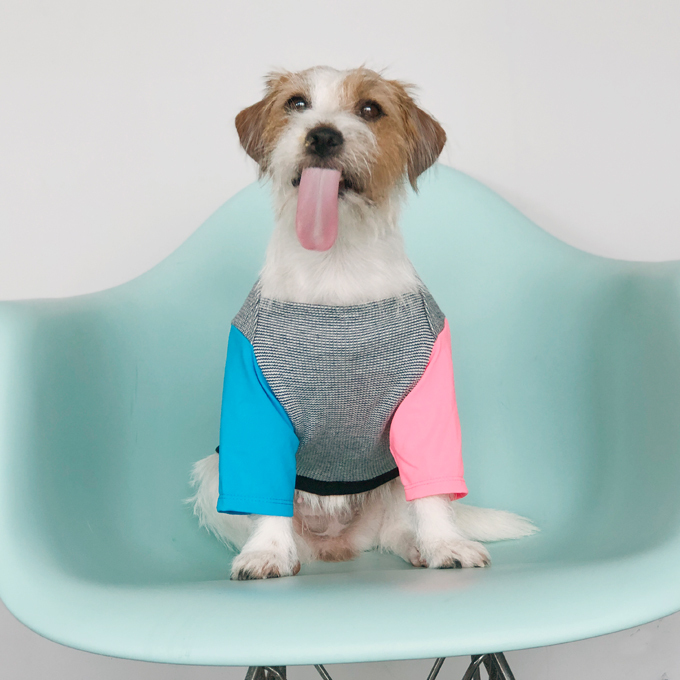 Free from artificial colouring - Artificial colourings have been associated to many forms of cancer too. 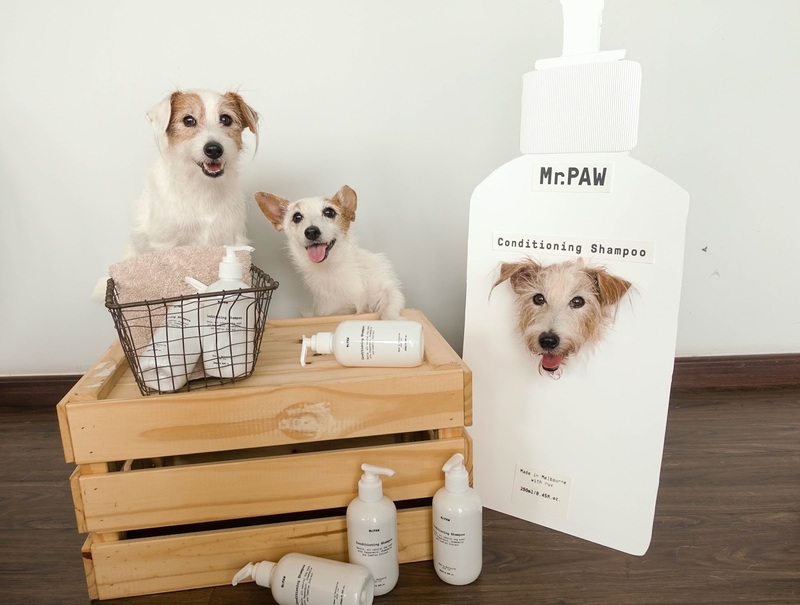 Thankfully, Mr.PAW's shampoo is colouring free! 3. 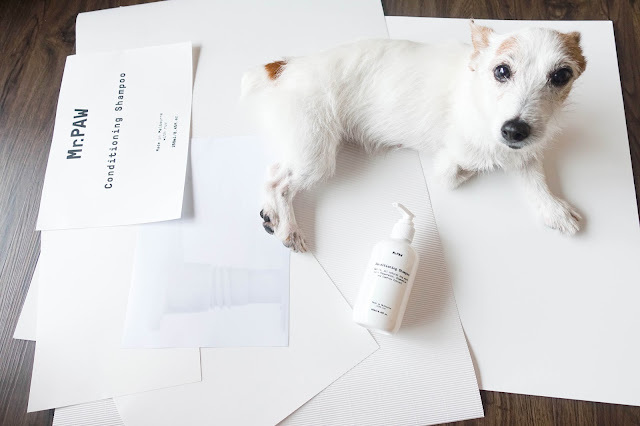 No artificial fragrance - Granted we all love a sweet-smelling pooch. But bear in mind that our sense of smell is way more sensitive than our parents. So can you imagine how 'bearable' a fruity smelling body that can be to us. Artificial fragrances can also lead to compromised immune function and allergic reactions. 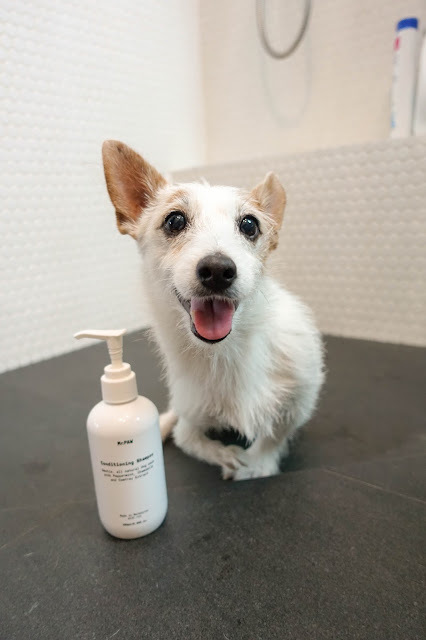 Instead, Mr.PAW shampoo has a refreshing peppermint scent (from the peppermint essential oil in it) that aids in moisturising our skin and even helps calm us down during the shower. The light scent makes it easy on our noses, thankfully. 4. 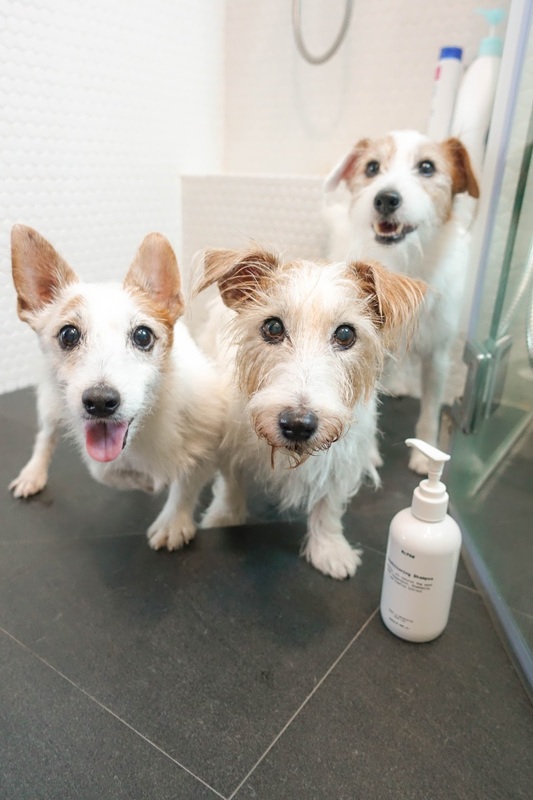 It does not lather/ foam - Thanks to countless shampoo ads we've been watching since we were young (Yap, we're TV dogs too), we often have the misconception that foaming shampoo = cleaner wash. 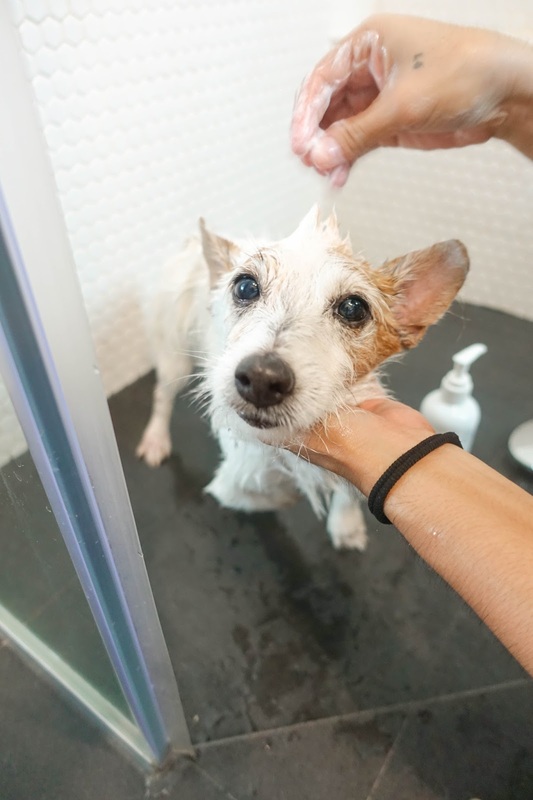 Unfortunately, not only does the 'foam' not help make your dog cleaner, studies have shown that these foaming agents can cause skin irritation and even the scary C! That's why we love that Mr.PAW does not lather, yet is able to wash off all the dirt we've collected over the week. We've been using Mr.PAW's shampoo for a few months now and we've to say that it works great on retaining the rough texture of our coats while moisturising our skin. 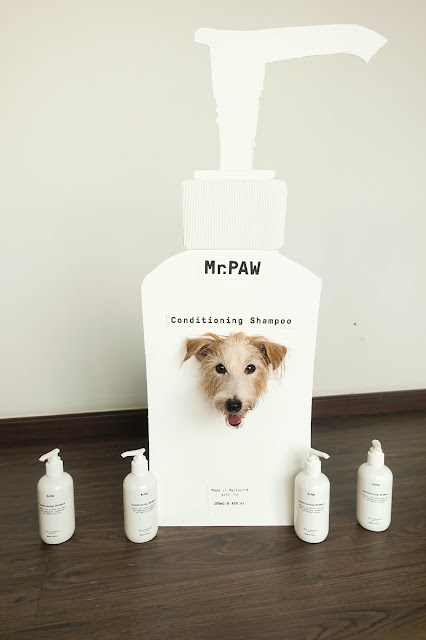 Mr.PAW's All Natural Conditioning Shampoo currently retails at Woofer & Purrlensky for SGD26! A bottle of goodness priced well we must say. Just for your gauge, a small bottle lasts the three of us approximately 2 months (we take one shower a week). 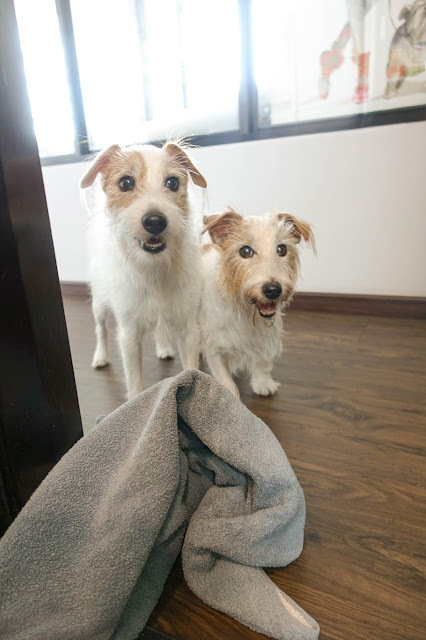 Since we're the ambassador, we want to spread the love! 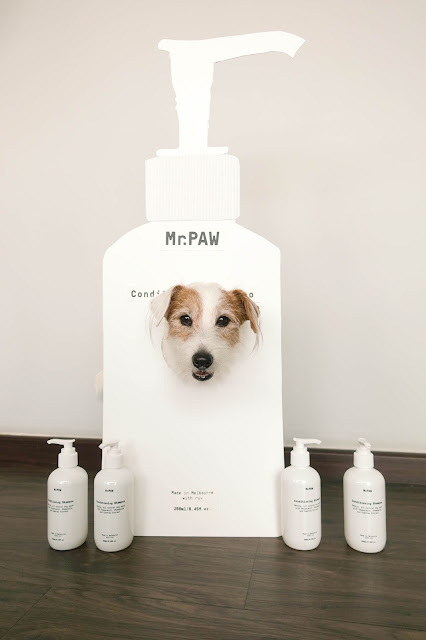 We would like to send a Mr.PAW bottle your way for you to try it out. 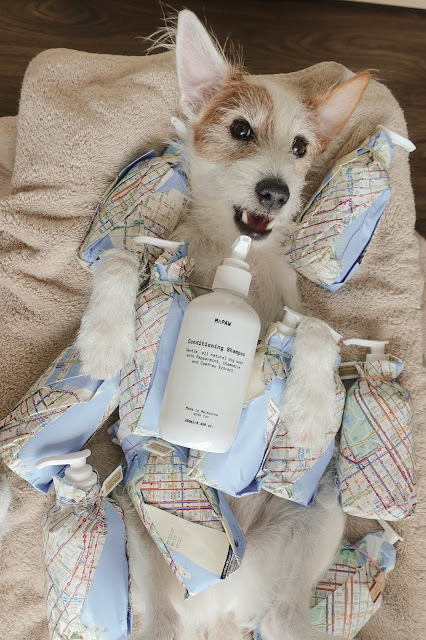 Thanks Beverly for wrapping them in the iconic subway map! 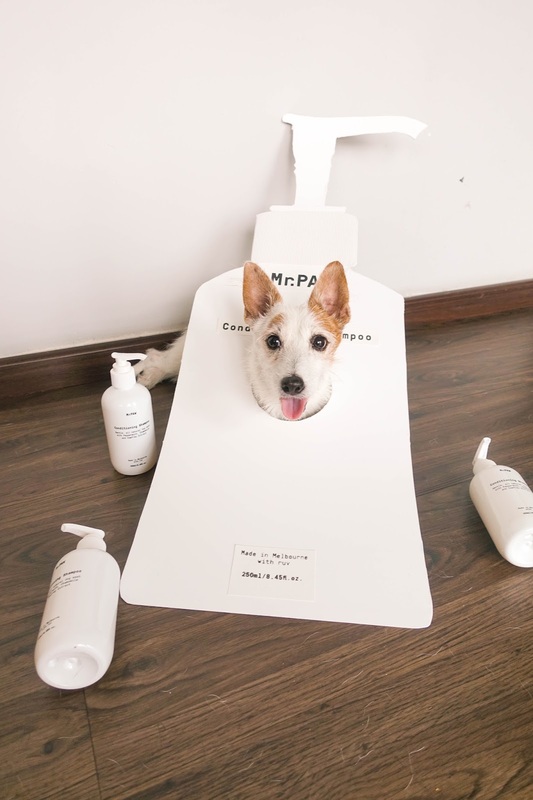 What a great way to personalise the shampoo! If you're residing in Singapore, do drop us an email ( hello@samforestloolim.com - please indicate your dog's breed) and we will select a few of you to send a bottle over! Trust us, you will love it as much as we do!